Bill Bowman, Scottish Conservative MSP for the North-East, insisted that the city’s future lies in a diverse mix of private enterprises. 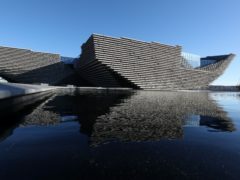 He has written to Dundee and Angus Chamber of Commerce to find out more about how the city is positioning itself as a centre for overseas commerce. “Now is more than ever the time to encourage international inward investment,” he said. “Economies such as China and India are growing rapidly and even in such vast countries, businesses scour the world for good deals and skilled workforces.